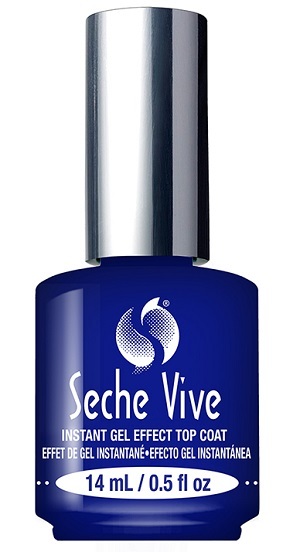 Seche Vive Instant Gel Effect Top Coat, .50 fl. oz. Specially formulated to dry nail polish quickly just like the original Seche Vite. Gives nails a plumping effect of a gel in a glossy, high shine finish without the use of a UV/LED light. Seals and protects nail polish from chipping. Removes easy and fast with any acetone or non-acetone nail polish remover.